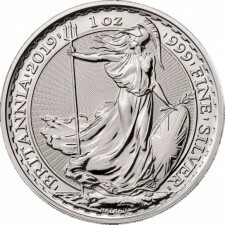 After the successful introduction of the Gold Britannia in 1987, the Royal Mint followed with the Silver Britannia ten years later. 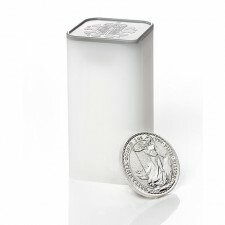 Since 2013, these coins have featured industry-standard .999 fine silver content. 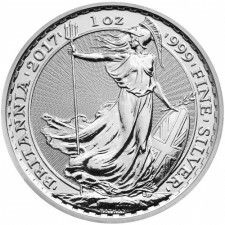 Queen Elizabeth adorns the Obverse, and the graceful Britannia figure, a classic personification of Great Britain, is featured on the Reverse.